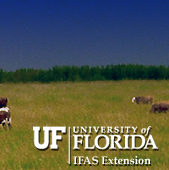 Cattletalk is designed to provide a forum for the discussion of topics related to Florida cattle production. Cattle producers, industry representatives and University personnel are encouraged to subscribe to this discussion group. The discussion group is established as a mailing list, and is accessed through your electronic mail system. Any individual who is subscribed to the list can pose a question or comment. The question or comment will be distributed to all members of the list. Any member can respond to the question or comment, and this response will also be distributed to all members of the list. There is no cost to participate in this discussion group. Note: the word "CattleTalk-L" after the word subscribe is one word (do not place a space between cattle and talk). If you are using your web browser mail system (for example Netscape Mail), you can also subscribe to the discussion group by clicking on Cattle Talk, and the Mail window will pop up. In the subject box enter subscribe, and in the body of the message enter "SUBSCRIBE CATTLETALK-L First Lastname", as indicated above. You will receive an e-mail message verifying that you have been added to the "CattleTalk-L" mailing list. If you are using your web browser mail system (for example Netscape Mail), you can also post a question or comment by clicking on Cattle Talk, and the "Mail window" will pop up. The preferred method, if you are using a browser mail system (such as Netscape Mail), is to have the message that you want to reply to active in the mail program. Then left click on the "Reply All button" (Re:Mail button located along the top of the mail window). In this way, both the question and your response will be sent to all members of the list. The less preferred method, if you are not using a browser mail program, or a mail program that does not support the "Reply" function is to send a normal e-mail message to cattletalk-l@lists.ifas.ufl.edu. If you use this method, please indicate the message that you are responding to. Note: the unsubscribe message is sent to "listserv" not "CattleTalk-L". You will receive an e-mail message verifying that you have been removed from the "CattleTalk-L" mailing list. Intensive rotational grazing and seasonal dairying. Discuss MIRG and seasonal dairying issues. Connect farmers in New Zealand and the US.